Bald eagle nesting season has come to western Pennsylvania. Our favorite pair at Hays Woods finished their new nest in early winter and are spending lots of time together. 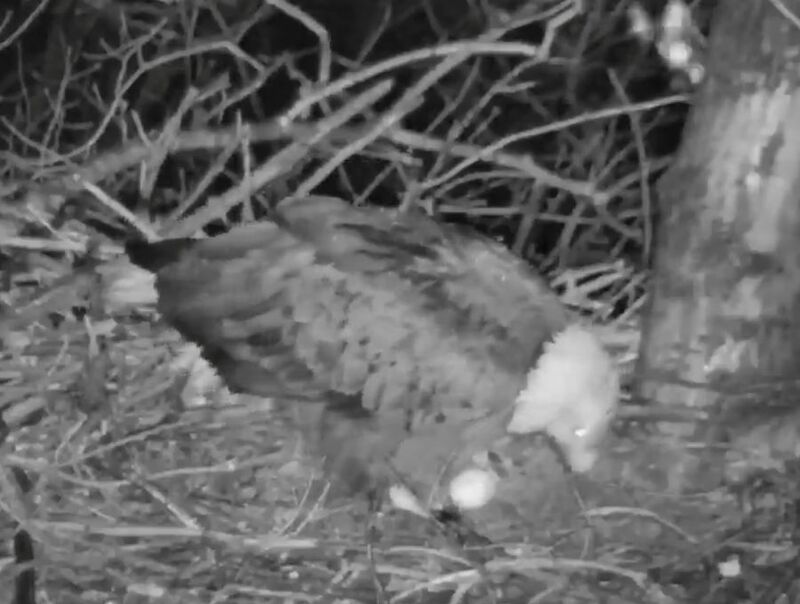 The Hays eaglecam is up and running. Everyone’s ready for eggs. 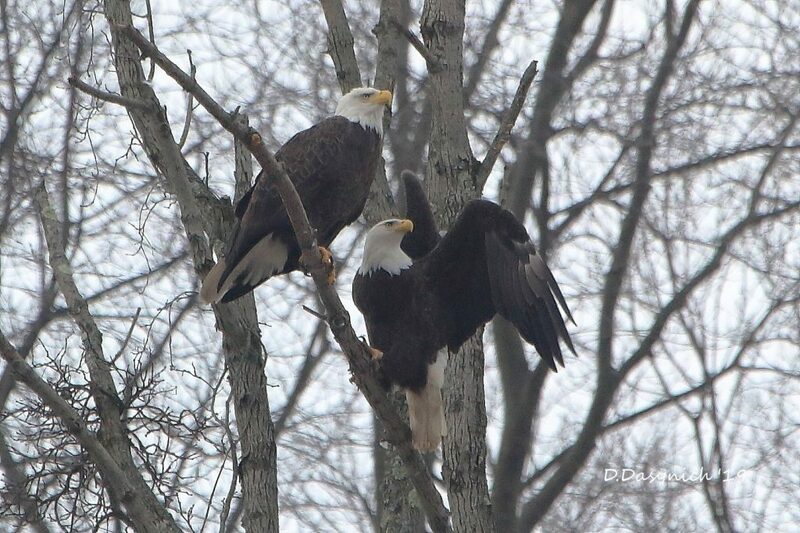 Yesterday Dan Dasynich spent time on the Three Rivers Heritage Trail taking photos of the eagles. He captured this one just after they had a mating session. Then the male flew off downriver. Because the Hays pair has been on camera for five years we have details of their nesting history. From 2014 through 2018 the female laid her first egg between February 10 and February 19. Her earliest date was in an unusual year. In 2017 she laid her first egg on February 10 but the nest tree blew down on February 12 so the pair built another nest very quickly. She laid her first egg in the replacement nest on 20 Feb 2017. If history is any guide, the first egg is one to two weeks away. Meanwhile the Hays eagles are putting finishing touches on the nest, the male is bringing food for his lady, and they mate many times. Eagle eggs are coming soon. Laura, you gave me the idea. 🙂 It was great to see you yesterday and chat about the eagles. What is happening with the falcons at Pitt? Haven’t heard about them in several years. I’ll have news later this week, Kathy. Peregrines lay eggs in March. Thanks Kate for your update and to Dan D for sharing this lovely photo. You sure had camera at the right time and place. Looks like would win #1 in a contest.